Someone is interested in giving me a reward. Atheopaths must hate it that they are fulfilling prophesy (Luke 6.22-23). 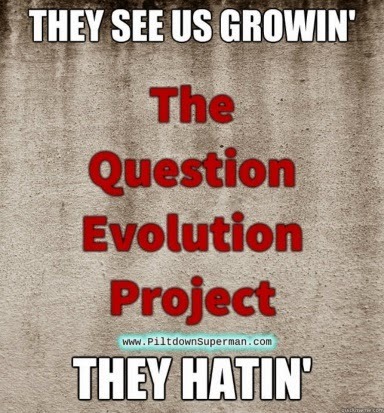 The Question Evolution Project is hated by many people on Facebook. There have been some trolling attacks, many from the same guy who is probably using a fake name (see the list of recently banned and reported). Now this tinhorn is drawing down on me. 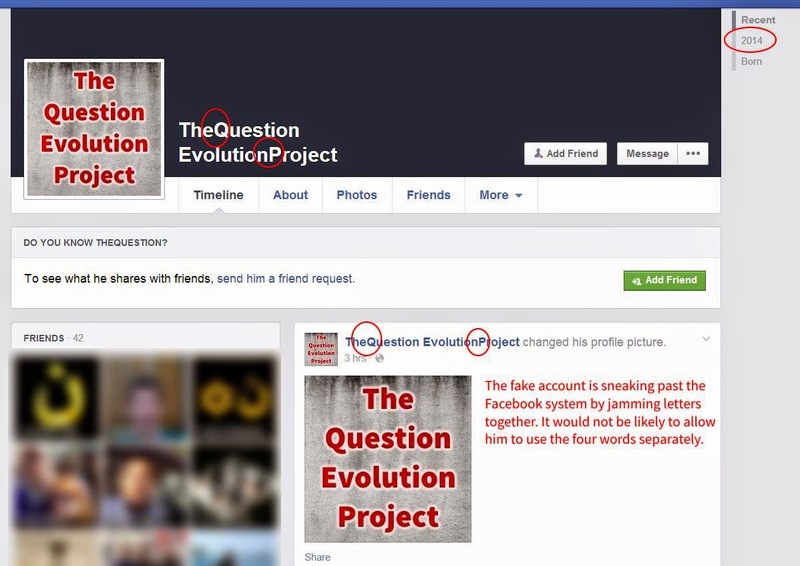 He's using the name of the Page as an individual, and sending messages, "Just wanting to let my fans know my page The Question Evolution Project has been hacked. Can you go unlike it, I'll be making another page shortly". Hacked? My account password is so strong, even I don't know it! I copy it from the free, Open Source Keepass password safe. The fake profile, which was later taken down. Click for larger. Not only does did he have a fake profile under that name, but also set up at least two fake Question Evolution Project Pages (ours has been there for a few years, has over 3,400 "Likes" at this writing, and also has the words piltdown.superman in the URL). What he seems to have forgotten is that I have this site, which is linked to the Page on Facebook and posts there automatically. That gives good evidence that my Page is not hacked, since this post will automatically go there. 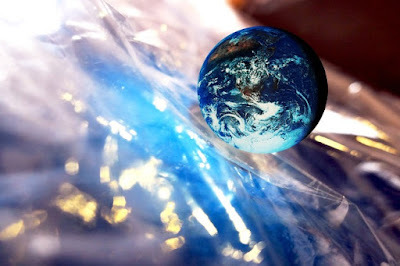 And eventually to my Google Plus version as well. The strongest evidence where the real Page is simply to click on the Facebook badge in the right-hand column, and you go to the real Page! I recommend that other ministries do the same. He even gloated about his criminal behavior. After that account was taken down, he came back later. And failed again. These people imitate Christians and their ministries. I've been involved in sounding the alarm for Creation Ministries International, Ian Juby, Ken Ham, Ray Comfort, Eric Hovind and several others. People need to be vigilant! I strongly suggest that you read my other article on this, "Finding Anti-Creation Facebook Fakers". You can't rely on Facebook to do the right thing, but it happens once in a while. Actually, I have some other things that bother me. People have been duped and made friends with fakers on just their say-so. Depending on their privacy settings, their personal information and friend lists are at risk. Facebook is fraught with identity theft. I have it on good authority that this guy has done a number of impersonations as well as troll attacks on other Christian and creationists. Others do the same. Do you think people like this are going to respect the privacy of Christians who accepted friend requests or "Like" imitator Pages? Not hardly! The "Good Without God" gang are willing to threaten Christians (see the article and screenshot here). Let's be blunt: These people are engaging in criminal as well as immoral activities. But this stuff happens when they're under Satan's control (believing they're "freethinkers"), and also unable to tolerate the truth of biblical creation science; they want us silenced. Anyway, I've pretty well demonstrated that the Facebook Page is not hacked, and people who do this are liars. Stay safe, stay vigilant, and have a healthy skepticism. As for me, I'm keeping on in the power of God and remembering that these atheists are building up my treasure in Heaven.